About the Book: In A FORGE OF VALOR, Kyra slowly returns from the verge of death, healed by Kyle’s love and mysterious power. As he sacrifices for her, she regains her strength—yet not without a price. She presses Alva for the secret of her lineage, and he finally reveals all about her mother. Given a chance to quest to the source of her power, Kyra must make a crucial choice: whether to complete her training or journey to help her father, who wallows in the capital dungeon, his execution pending. About the Author: Morgan Rice is the #1 bestselling and USA Today bestselling author of the epic fantasy series THE SORCERER'S RING, comprising seventeen books; of the #1 bestselling series THE VAMPIRE JOURNALS, comprising twelve books; of the #1 bestselling series THE SURVIVAL TRILOGY, a post-apocalyptic thriller comprising two books (and counting); and of the epic fantasy series KINGS AND SORCERERS, comprising six books, concluding with the recent finale NIGHT OF THE BOLD (Book #6). Morgan's books are available in audio and print editions, and translations are available in over 25 languages. Morgan's latest release is OBSESSED (BOOK #12 IN THE VAMPIRE JOURNALS)--the final book in the 12 book VAMPIRE JOURNALS series. Morgan's new epic fantasy series, OF CROWNS AND GLORY, will publish in April, 2016, beginning with book #1, SLAVE, WARRIOR, QUEEN. TURNED (Book #1 in the Vampire Journals), ARENA ONE (Book #1 of the Survival Trilogy), A QUEST OF HEROES (Book #1 in the Sorcerer's Ring) and RISE OF THE DRAGONS (Kings and Sorcerers--Book #1) are each available as a free download on Amazon! Morgan loves to hear from you, so please feel free to visit www.morganricebooks.com to join the email list, receive 4 free books, receive free giveaways, download the free app, get the latest exclusive news, connect on Facebook and Twitter, and stay in touch! As always, if any of you are suffering from any hardship, email the author at morgan@morganricebooks.com and the author will be happy to send you a free book! 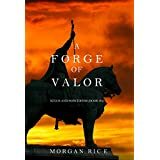 My Review: The book “A Forge of Valor” is the fourth book in the “Kings and Sorcerers” series. The easy and light writing style will hook you up from the very first page. In this book we continue to follow our heroine Kyra, a 15 year old girl, who loves to fight like a warrior. She abandons her training to go in the rescue of her father, against recommendation from her trainer. While badly hurt, she is saved by her mysterious boyfriend Kyle. Her father Duncan was betrayed and is in the Escalon capital's dungeons, waiting for his execution. Other parallel stories are told. Alec is going in a journey with a mysterious man to figure out what is his role in this story and his friend Mark is helping Dierdre and the resistence at Ur, against the Pandesian invasion. Vesuvius leads his army of trolls against Escalon, going towards the Tower of Ur, to capture the Sword of Flames. Merk defends the Tower of Ur against the attacks of the trolls, and at the end, when there is no hope, he is rescued by Kyle. 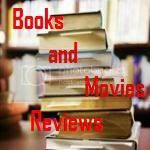 Packed with excitement, I recommend this book to the permanent library of all readers that love to read a well written book, which will allow them to live a fantasy full of action. I can hardly wait to see how the story will develop from here. The author managed again to produce a strong set of characters that make us cheer for them on every page we turn. I received a copy of this book from the author and I was not requested to write a positive review. Opinion expressed here is my own.